I’m going to jump right in because I am behind schedule. Week 42 covers October 16 – 22. As always, feedback is encouraged. 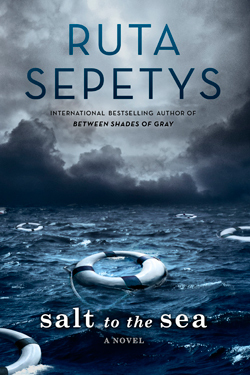 Salt to the Sea by Ruta Sepetys – I borrowed this as an e-book from the Boston Public Library. This author is quickly becoming one of my favorites. In this one, refugees are fleeing the Russian advance through Germany at the end of WWII. The unlikely travel companions band together to help each other in their flight to the relative safety of a German evacuation attempt. They seem to be fleeing one evil only to find salvation from another, but I guess sometimes life is about the least worst option. The narration changes between the refugees and tells their very different stories and experiences during the war and what they have been forced to endure in order to survive this far. I really enjoyed this. I’m giving it 4 stars. 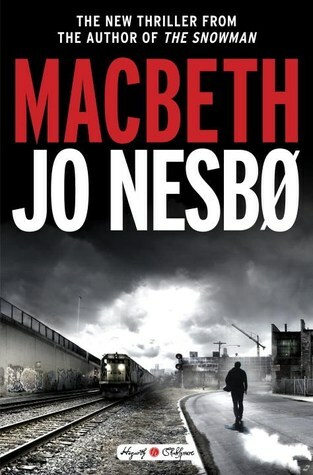 Macbeth by Jo Nesbø – I received this as an e-book from the publisher via NetGalley. This is the Macbeth retelling from the Hogarth Shakespeare series. I know that’s hard to believe with the title and all. In this one, Macbeth is re-imagined as a 1970s police drama in Norway. Because, well, why not? This is a Shakespeare tragedy, so everyone dies. That is not a spoiler. If you haven’t read Macbeth, you should probably do so immediately. (I think I just figured out where George R.R. Martin got the idea that you can kill all of the main characters and keep going. That should have been obvious.) This is dark and well written and this author is quite amazing, so I definitely recommend it. I’m giving it 4 stars. 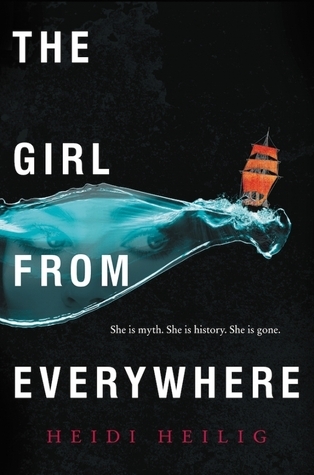 The Girl from Everywhere by Heidi Heilig – I borrowed this as an e-book from the BPL. I love this cover for one thing. This is a travelogue of epic proportions. Not only do they travel via boat, but they travel through time, using maps to navigate into other times and places. It’s really very clever. The Captain is on a quest to find his lost love and Nix is trying to make sure it never happens. You’ll understand when you read it. I’m not always a fan of time travel books because the premise can be pretty flimsy, like the author doesn’t have quite enough imagination to pull it off and pull you into the story, but that is definitely not the case here. I loved it. I’m giving it 4 stars. And that is it for Week 42. Let me know if you have any suggestions as to what my next read should be or if you have any comments about all of these. This entry was posted in What I Read and tagged Boston Public Library, Heidi Heilig, Hogarth Shakespeare, Jo Nesbo, Macbeth, NetGalley, Ruta Sepetys. Bookmark the permalink.